Just last week, after WhatsApp for Web was released for our PC's browsers (personal Computers), the News spread quite fast, many technology and News blogs have discussed about it, now more and more people want to get involved in the new Experience, more people want to do their WhatsApp Messaging directly in their PC. * The Latest/Updated WhatsApp on your Smartphone. Yeah, you'll need to have the Updated version of the WhatsApp Application On your Phone to enable you use WhatsApp Web on your PC. The reason is because the Updated WhatsApp is the only that will show you this new function. 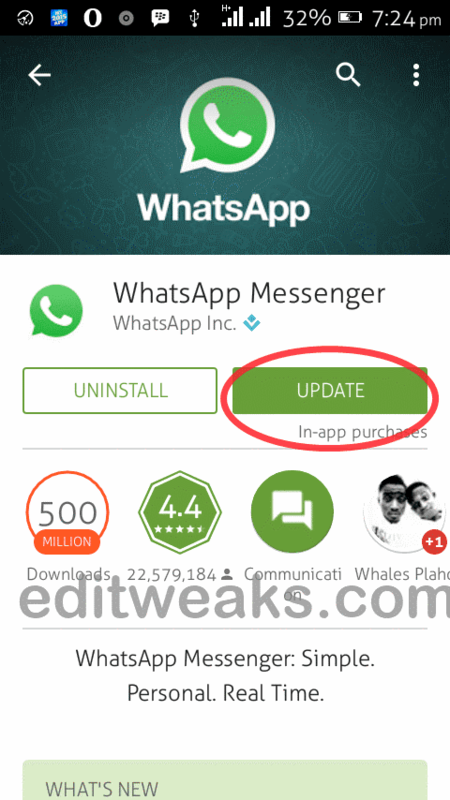 - Android Users can Update their WhatsApp by going to the PlayStore and click UPDATE. - Or For other phones simply go to WhatsApp.com/download. The Link will take you to where to download the Latest WhatsApp for your Smartphone. 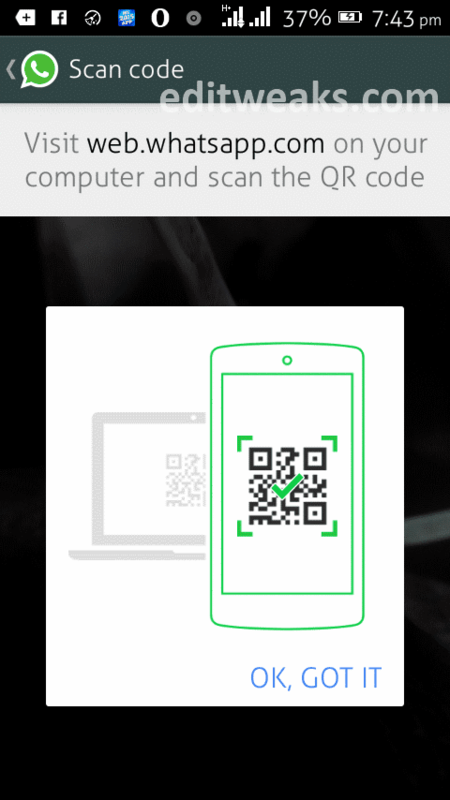 Immediately the Scan is Done, you will be Logged in, and all your Conversations will drop in, so you can continue chatting from your PC. Although The new invention had shifted from Instant Messaging on Mobile to messaging on PC, it has proved to be MORE FLEXIBLE and quite VERY USEFUL for those who work in Offices with their Computers. You won't be distracted from picking up and dropping your smartphone to reply messages anymore, you can now do everything you do on your smartphone directly from your PC through WhatsApp Web.